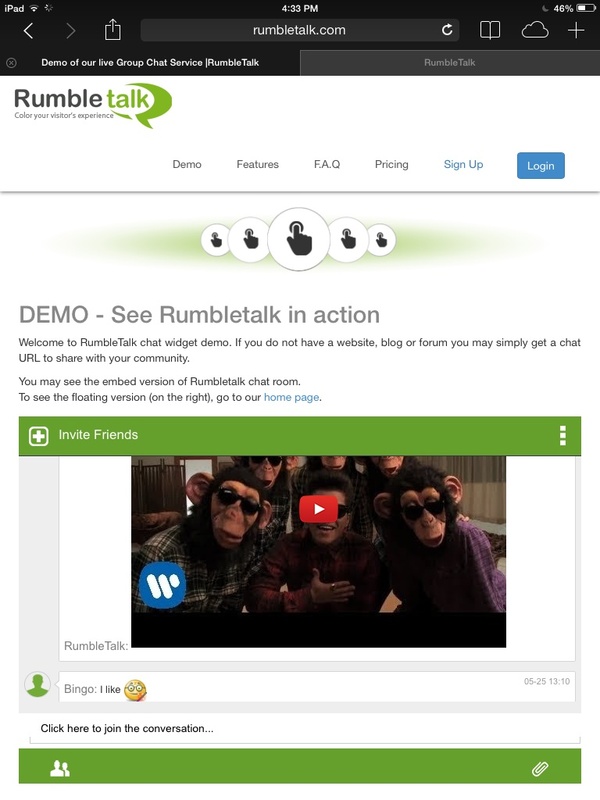 RumbleTalk group chat is mobile ready, you can use the chat using your web browser or mobile browser. The mobile version includes all the features you have on the web version. Including upload files and images, take photos, private chat and much more. All the settings that were made in the admin panel are shared in the mobile version. However: The mobile version style (skin) is not customizable, meaning there is no option to change the colors, fonts, borders and UI. 2. Start: Access the page where your chat is located. Open your mobile or tablet device. 3. In case the chat is Embedded in a page. If your chat is embedded in a page, you will see the chat room as a part of the page when browsing from mobile device. 4. In case the chat is Embedded in a page in a Full screen mode. In case you choose in the admin panel that the chat will be opened in a full page mode in mobile devices (check box in the dashboard). 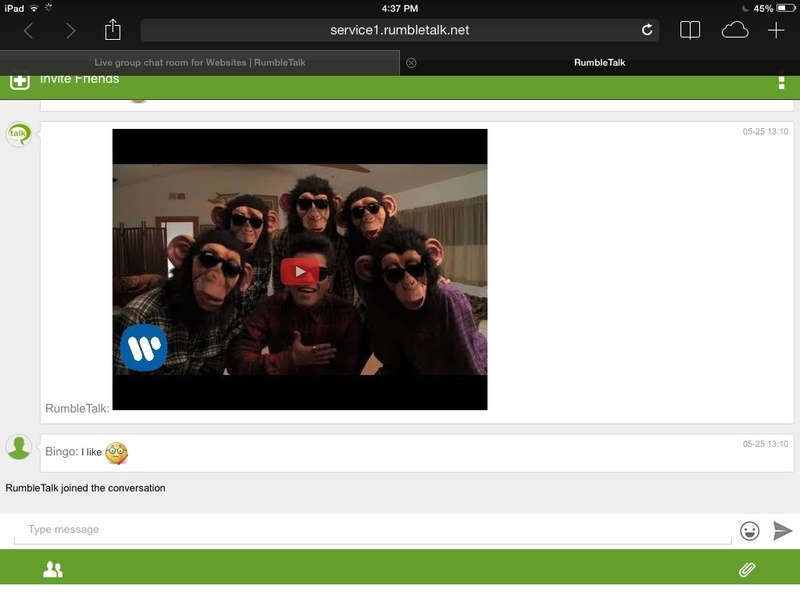 Then, when going to the page where the chat was Embedded from a mobile device, an image will be shown. Clicking on this image will open a full page mode. 5. In case the chat is Embedded as a floating chat. Floating chat is a chat that “jump” on the right bottom corner. You can change the “jumping” icon. From a mobile device, when clicking on the floating chat icon, it will open the chat full screen in a new tab. Previous postHow to disconnect all users? Next postHow to upload images and files?